Chevrolet Performance had a big showing at this year’s SEMA Show in Las Vegas. The venue plays host to a plethora of aftermarket tuners and automakers alike, both hoping to show off their latest and greatest accessories. Now that the show is firmly in the rearview mirror, the Chevrolet Performance YouTube channel did a quick-hitting recap of the event. The video shows off some dazzling concepts, powerful crate engines, and much, much more. The video highlights the 1973 Chevelle Laguna Concept, which Chevy built to showcase a new crate engine—the 755 horsepower LT5 V8. Yup, the same engine found in the 2019 Chevrolet Corvette ZR1. The crate engine is a supercharged 6.2-liter mill that produces 715 pound-feet of torque, which is always nice to have on hand. Along with the LT5 crate engine, Chevrolet Performance showed off the ZZ6 EFI crate engine. It’s a new 350-cubic-inch small-small-block V8. However, instead of using a four-barrel carburetor, the engine sports a modern electronic fuel injection system. The mill makes a respectable 420 hp and 409 lb-ft of torque. In addition to crate motors and the gorgeous cars that highlight them, Chevy Performance introduced the 2019 eCOPO Camaro Concept—a 700-hp electric drag car. Chevy partnered with Hancock and Lane Racing, electric drag racing pioneers, to build the car. It sports GM’s first 800-volt battery pack, and the whole thing makes 600 lb-ft of torque. Yes, you lose that sweet V8 sound, but the performance is undeniable. But that’s not all. The 2019 50th Anniversary COPO Camaro also bowed in Las Vegas, celebrating 50 years since the original COPO Camaro debuted. For 2019, the car comes in Anniversary Blue Metallic exterior paint, which mirrors the original Laguna Blue from 1969. There’s also a 50th Anniversary Engine Appearance Package that sports an orange engine block, chrome valve covers, and a black high-rise intake manifold. Engines include an LSX-based 427 V8, LSX-based 350 V8, or a 302-cubic-inch V8. 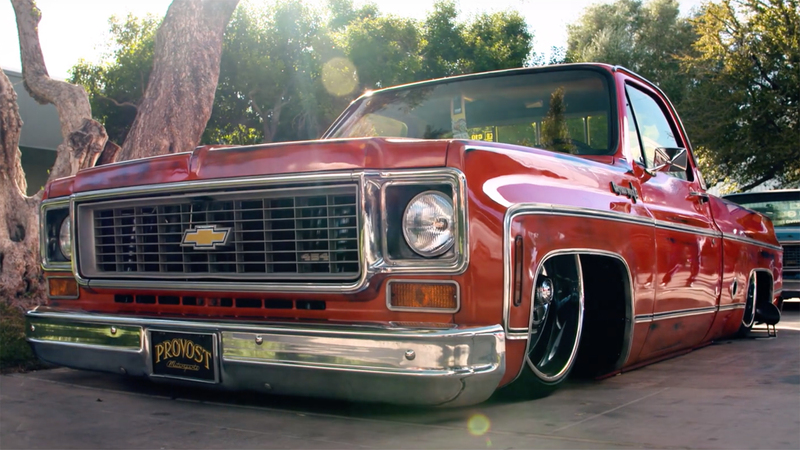 If anything, the recap shows just how involved Chevrolet Performance is at the show, and it shows off how dedicated the company is to offering customers a plethora of aftermarket goodies. It would be nice if GM/Chevy gave us some hot turbo-4’s and turbo V6’s crate engines. You forgot the 327″ _ 348″ _ 409″ and 454″. Play the one of the outstanding checkers game with your friends from here https://onlinecheckers.net without any pay and download the goal in the game is really impressive that you loves to play in your free time by connecting your friends as multiplayer.